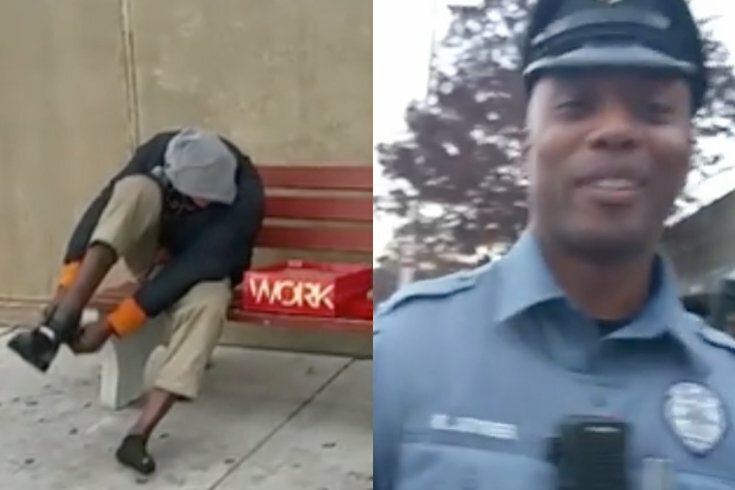 DRPA Officer Kenya Joyner's act of kindness went viral on Facebook after he bought a homeless man a new pair of shoes. At a time when police have been in the national media spotlight, a local officer’s random act of kindness, caught on camera, is shining a light on positive policing. Delaware River Port Authority Police Officer Kenya Joyner will be honored Monday by Congressman Donald Norcross for giving a homeless man without shoes a brand-new pair of boots, NBC10 reports. A witness recorded the kind act, which took place Nov. 7 at the Lindenwold PATCO station, and then uploaded it to Facebook. It quickly went viral. Read the full NBC10 article here. Full disclosure: Congressman Donald Norcross is the uncle of Lexie Norcross, PhillyVoice's executive director.